Flying Destinations and Air Trails - Eastern U.S. 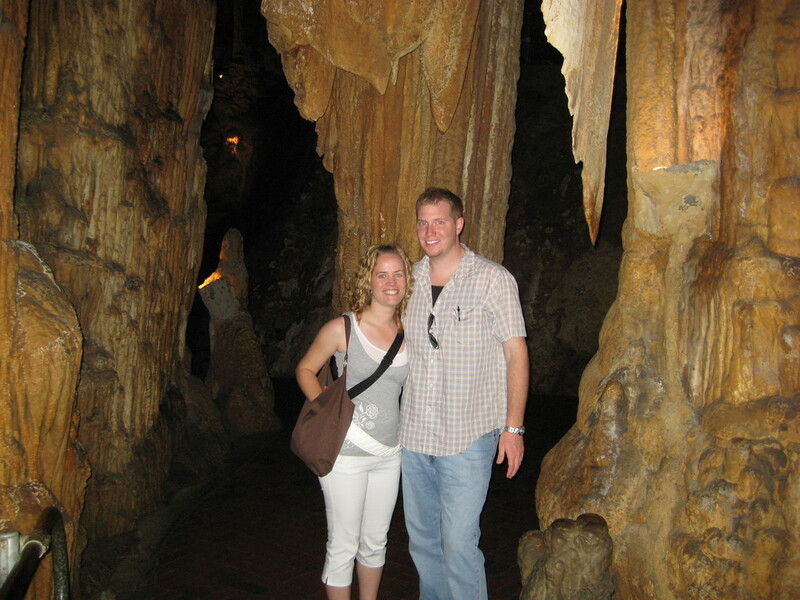 The article I recently wrote about the Grand Canyon Caverns (https://airtrails.weebly.com/southwest-az-ca-nm-ut/a-side-trip-from-the-grand-canyon-youre-used-to) reminded me of a memorable trip my then boyfriend Jared and I took back in 2007 when I was an intern at AOPA’s Headquarters in Frederick, Maryland. 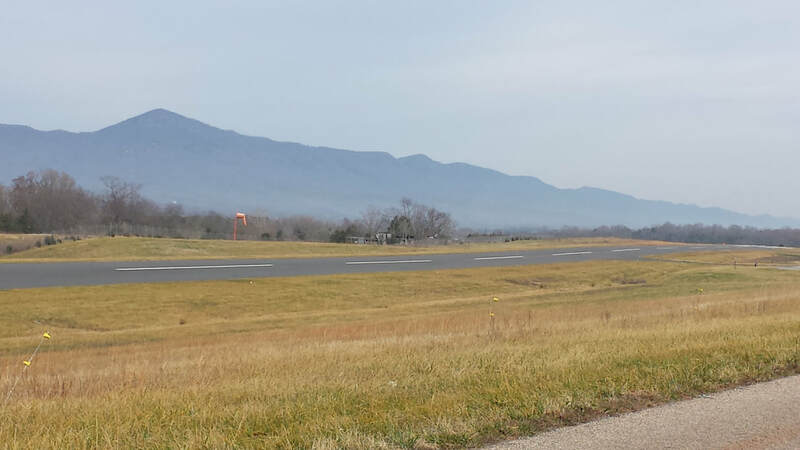 The flight took us from AOPA’s home airport (Frederick Municipal or KFDK) to Luray in Virginia. Oh, boy, do we look young! The town of Luray is close to Shenandoah National Park’s Thornton Gap Entrance Station and has the “Largest and Most Popular Caverns in Eastern U.S.,” or that is the claim of Luray Caverns (https://luraycaverns.com). I do not know what they consider “Eastern U.S.” in this case but I know that Mammoth Cave National Park preserves the world’s largest known cave system with more than 400 miles explored. However, I can tell you that, having been to both, Luray is much more picturesque and impressive than Mammoth even though the latter one is part of the National Park System (NPS). You know what else is cool about Luray Caverns? 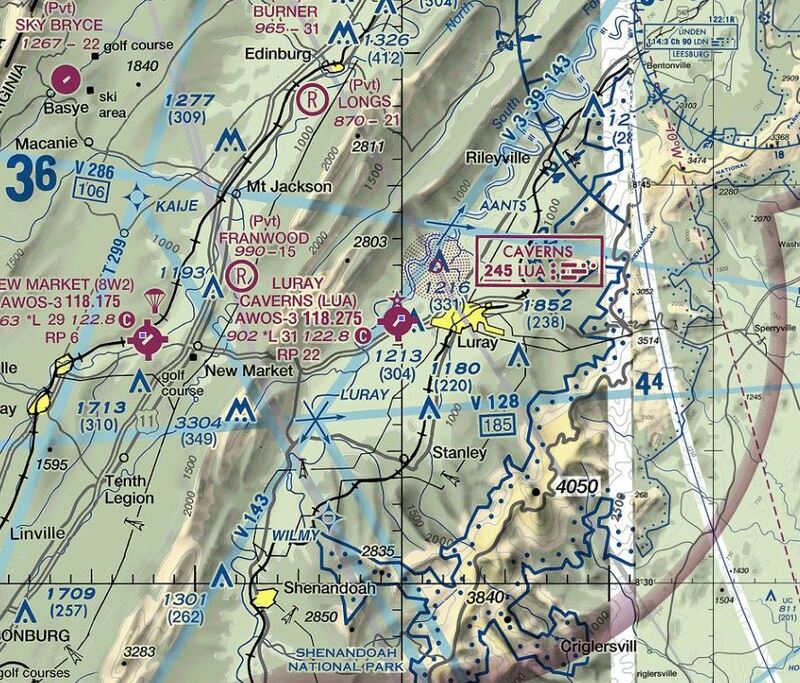 You can fly into the local airport – Luray Caverns Airport (KLUA) (https://www.airnav.com/airport/KLUA) – and the caverns are only one mile away. The Airport used to be owned by the same people as the caverns so they used to offer ground transportation but the Airport was apparently sold in 2017 and they stopped that service. However, walking to them or catching a taxi are still good options even though you will need a rental car if you want to get to the mountains. 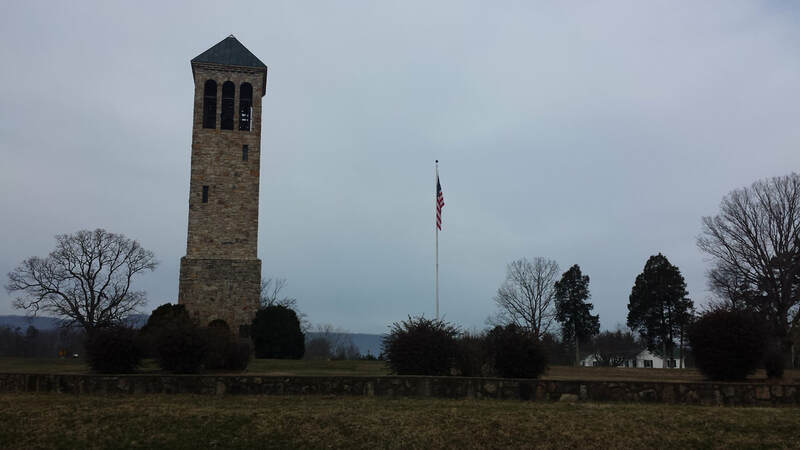 Across the caverns, you can also see the “Singing Tower” (pictured below) from 1937. It has a carillon of 47 bells and gives regular “musical architecture recitals.” Other activities are also offered now that were not offered when I was there last time: a rope adventure course, a garden maze, a couple of museums, etc. 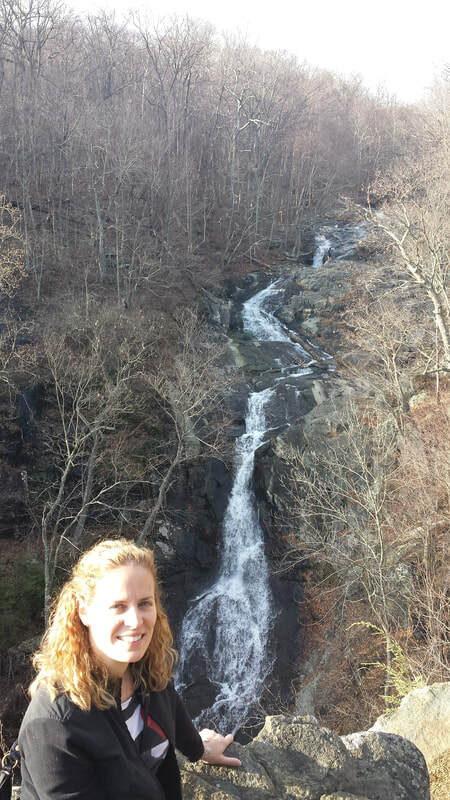 And, if you know me, you know I am a big fan of National Parks. I visit one or two every year and I eventually want to visit them all. 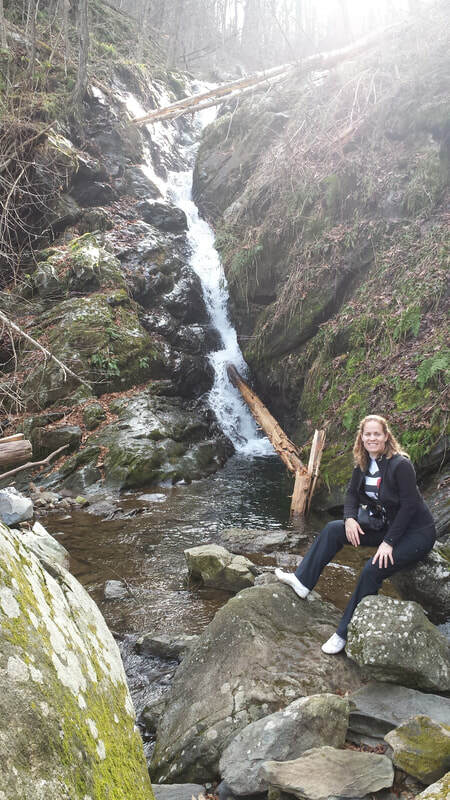 I have been to Shenandoah National Park (https://www.nps.gov/shen/index.htm) twice but I could go many more times and still not hike all trails, see all overlooks, etc. It is a very long but narrow park (as shown in the map below) with over 500 miles of trails and 75 scenic overlooks, all along the 105-mile long Skyline Drive that runs from Waynesboro to Front Royal. And, not only that, but this is the kind of park that looks different in all four seasons. I have never been to Luray’s Rescue Zoo (https://lurayzoo.com) but it sounds interesting as well. They rescue retired zoo animals, unwanted pets, confiscations, and, sadly, abused animals at times. It looks like it is within walking distance of the caverns. 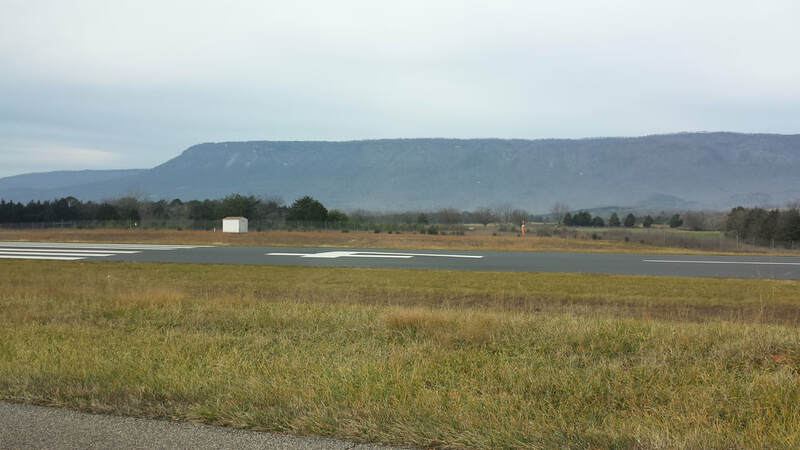 Luray says the drive to the area is “half the fun.” Well, I have also flown there and I can tell you… the flight IS half the fun. As the sectional chart below shows, the Airport is tucked in between the National Park and another little mountain range (I believe it is part of the Blue Ridge mountain system as well). To keep traffic away from town (two miles east of the Airport) and based on an “airport airspace analysis determination,” the single runway airport has a left pattern to Runway 04 and a right pattern to Runway 22. That puts you fairly close (for non-mountain flyers, anyway) to the mountain range west of the area, making it a scenic descent, approach, and landing. The pictures below can give you an idea. You know the drill… fly safe and fly often! Tell me about your favorite flying destinations via https://airtrails.weebly.com/about-and-contact.html.